I'm a little bit late to spot that but still delighted to see that I was featured in Vogue's Street Chic edition for December. To see it in it's full glory + all the other amazing outfits of the month go HERE. Love the colour of that bag! 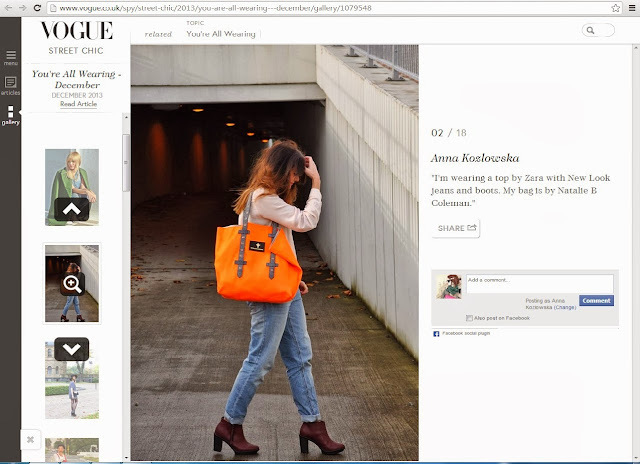 Amazing to be on the Vogue website! !